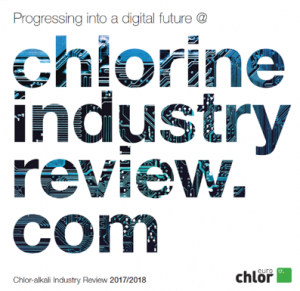 The first ever digital version of Euro Chlor’s Industry Review has recently been launched at https://chlorineindustryreview.com. This 2017/2018 version covers the most important European industry information from the past year divided up into five sections – Sustainability, Safety, Regulatory, Manufacturing & applications, and About Euro Chlor. The updated Industry Review contains noteworthy stories, interactive figures, and the latest data and statistics. On the homepage there is an introduction video and speech from Euro Chlor’s Executive Director Dolf van Wijk and Management Committee Chair Dieter Schnepel. Also find investment, production, and capacity highlights, and how Euro Chlor members have helped to ensure the safe use of chemicals. Euro Chlor is in the process of moving from print to a digital format for the Euro Chlor Industry Review, and would appreciate you spending a few minutes to evaluate the new online version. Click here to complete the online survey or contact eurochlor@cefic.be to give your feedback. A summarized version of the review is also available in print and downloadable PDF format at the bottom of the homepage.